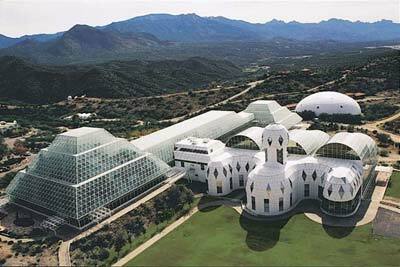 In the 1990s, eight scientists agreed to spend two years sealed inside a 3-acre terrarium in Arizona's Sonoran Desert. Their mission was to see whether humans might someday be able to create self-sustaining colonies in outer space. Two decades later, scientists are still using the 7.2-million-square-foot Biosphere 2, only now the focus is figuring out how we'll survive on our own warming planet. Researchers say Biosphere 2 may be even more relevant today than when those first people passed through the airlocks on Sept. 26, 1991. Experience Biosphere 2 for yourself when you travel to the Grand Canyon with Discovery Student Adventures. how do the plants inside look like?